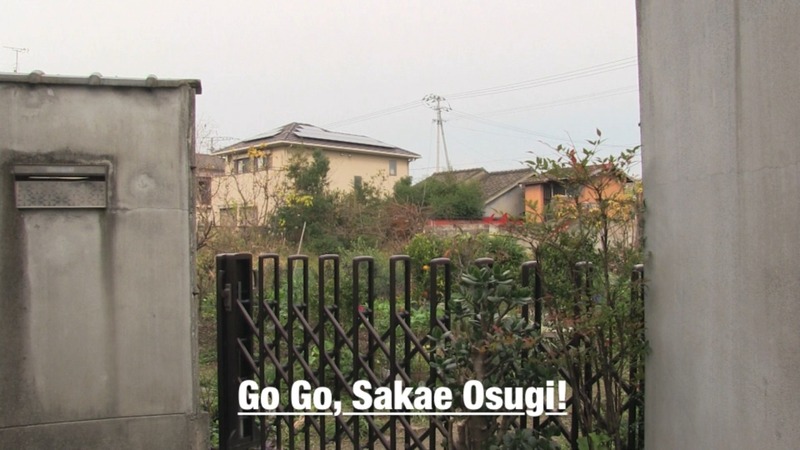 Sakae Osugi, a well-known anarchist in the Meiji/Taisho era who was massacred by the military police force immediately after the Great Kanto Earthquake, was believed to be born in Marugame, Kagawa Prefecture according to his biography, but the exact location of his birthplace had been unknown for a long time. 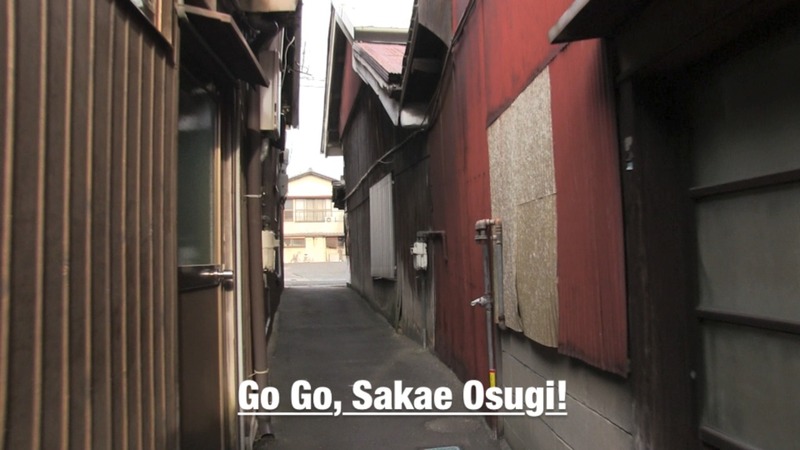 By connecting together memories and testimonies of poets who were familiar with Osugi, a place that seems to be the birthplace of Sakae Osugi was finally found in Marugame. But the place was a wasteland where his house had already disappeared and only a gate was left as part of the original house. By overlapping a never reaching, vacant and silent cheering song of “Go! Go! 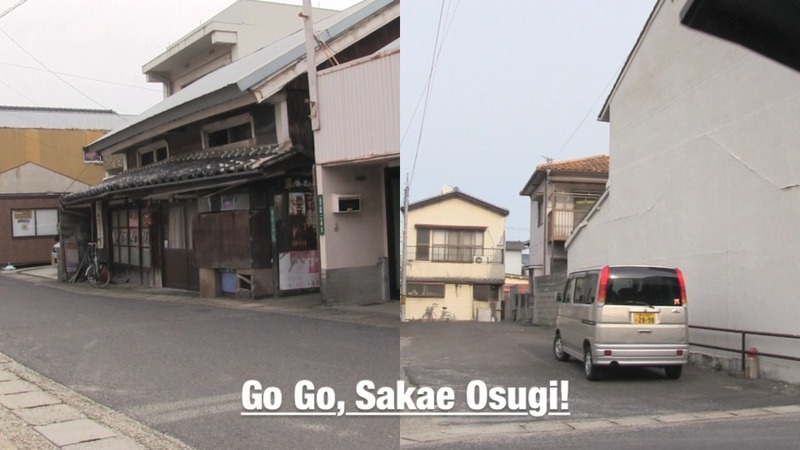 Sakae Osugi!” to the super slow motion video of Niwa wandering the town of Marugame, Niwa attempts to integrate the history of past social movements that are fading away and present state, within the urban landscape.